The information provided on or via this website should be used for mere general information purposes and should not be used as a substitute for any form of advice. Decisions based on this information are for your own account and risk. No rights can be derived from the information on this website. 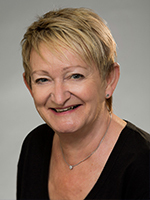 Although Barbara Matheson Counselling and Coaching (hereinafter referred to as “the Company”) attempts to provide accurate, complete and up-to-date information, the Company makes no warranties or representations as to whether information provided on or via this website is accurate, complete or up-to-date. The Company does not represent or warrant that this website functions without error or interruption. Use of this website that may hinder the use by other Internet users, that can endanger the functioning of this website and/or affect the information provided on or via this website or the underlying software, is not permitted. The Company cannot be held liable for any damages, directly or indirectly arising in any way from accessing this website and/or the (use of) information provided on or via this website. The Company reserves the right to change the information provided on or via this website, including the terms of this Disclaimer, at any time and without notice. The Company cannot be held liable for the content of external websites which link to this website or which are linked from it. © copyright 2018 - Barbara Matheson all rights reserved.